If you will spend a minute or so on the following story problem, I will share with you a secret that professional traders, dealers, and investors use to grow their precious metals holdings. 1- Bill has 10 ounces of gold. 2- He agrees to trade it for 800 ounces of silver. 3- When prices change, Bill trades his 800 ounces of silver back into gold. Bill ends up with 16 ounces of gold instead of the 10 he started with. By Today’s Prices, that is somewhere in the neighborhood of $7,750 in profits. Question: Would that be a pretty smart thing for Bill to do? In this example Bill is using a strategy well-known to professionals. It’s called the trading the gold/silver ratio. Bill didn’t invest any more money, but the amount of gold he owns just increased by a sixty percent! The gold-silver ratio is the price of gold divided by the price of silver – essentially how many ounces of silver can you buy with one ounce of gold. Right now, an ounce of gold will buy 85 ounces of silver. That is the highest level in about 25 years, and even more advantageous for trading than our example! We strongly recommend trading gold for silver with the ratio this high. Our example using the spot prices of gold and silver, is for purposes of illustration only because of transaction costs and since different coins and bars have their own premiums relative to the spot prices. Because gold and silver each have their own supply-demand fundamentals, their prices don’t move in lockstep. Down the road as prices change the ratio between the two metals will change. For example, in April 2011 the ratio hit 30 to 1. In short, the objective is to hold the precious metal poised for the most rapid appreciation. 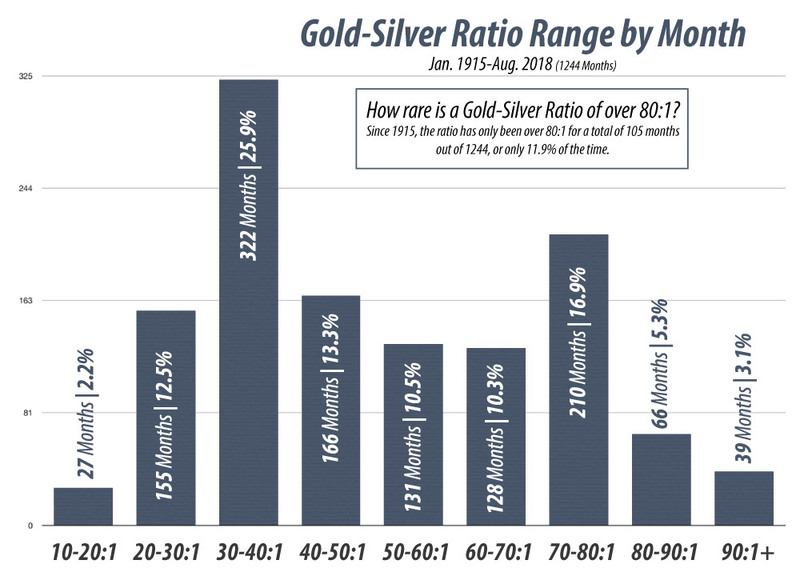 Because silver is underpriced relative to the gold price, it’s is a favorable time to trade gold for silver. I don’t want you to miss the opportunity to add to your precious metals holdings without investing additional money. The gold-silver ratio doesn’t tell you where the price of either metal will be next month or next year. But at 85 to 1, it is very persuasive evidence that the price of silver is low relative to the gold price. So that is the secret strategy professionals use to increase their holdings of gold and silver. Many of our clients and I, myself, have used this powerful strategy for years to substantially increase our precious metals holdings. I urge you to speak with your RME Gold professional advisor about this strategy. After all, why should the professionals get all the profits?